Here at Twiggers Motorcycles we offer a full range of services for all your motorcycle & scooter needs. Our workshop is fully equipped for services, repairs, tyre changing, MOTs, and insurance work etc. using fully trained and time served mechanic technicians. New and used machines are always in stock and ready for sale. We stock spare parts, accessories, helmets, clothing, security items, alarms etc. We also offer a mail order service for spares and accessories if required. Feel free to call in or give us a call. You will find us on the A60 in Loughborough, 800 yards from Loughborough Train Station, 2 minutes from the main A6 and the Town Centre. Easy access from the M1 (J24/A6 Southbound or J23/A512 Northbound) and the M42 (J13/A512). If you're stuck, give us a call and we'll guide you in, or you can find us easily on your Sat Nav by our postcode LE11 1EU. In 1956 Roy Twigger (A keen Trials rider) opened a motorcycle shop on Nottingham Road in Loughborough. 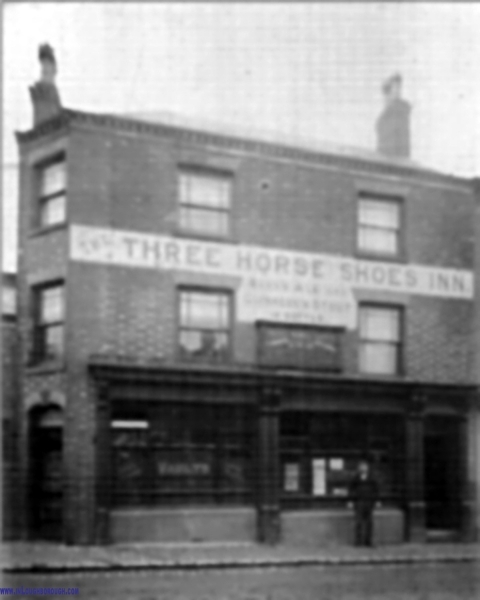 Prior to that the building was a pub called the Three Horseshoes Inn, the photograph below was taken around the early 1900's. Originally the shop was opened as a BSA dealership. In 1986 present owners brothers Mark and Dave, who have been riding bikes since childhood, took over the business from Roy himself and have made it what it is today. Mark is the co-owner of the business and is a fully trained and specialised bike mechanic with more than 30 years experience and is also Twiggers' authorised MOT operative and workshop manager who knows everything about everything and a bit more besides. Dave is the Sales Manager, dealing with new and used Bike Sales and with over 30 years experience there's not much he can't help you with. Bruce is our Diagnostic Technician mechanic in the workshop, specialising in the Moto Guzzi engine and what he doesn't know about bikes isn't worth knowing! He's been with the company for 20 years and continues to go from strength to strength with his knowledge and experience. Elaine joined the company in 2005 as Shop & Spares Manager bringing with her over 10 years experience in Customer Service, Sales and Administration. Twiggers is what has been referred to as a 'Proper bike shop' and we're proud to have a reputation for honesty, genuine care and concern for you, the rider and customer, and a strong emphasis on good quality service at reasonable and competitive prices.